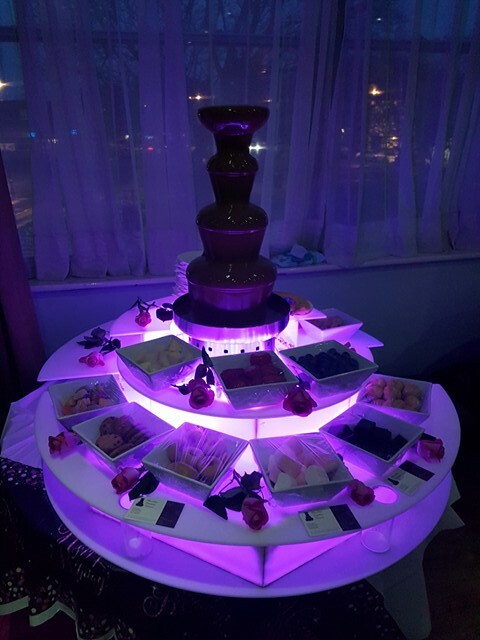 Established in 2002, Chocolate Fountain Hire with Chocolate Fountain Heaven is an easy decision to make, we are one of the few truly professional companies in the UK. Based in Hampshire, we are a full-time business and have attended in excess of 25,000 special events since we began. 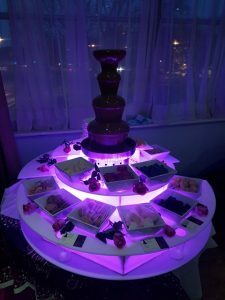 We were the first to bring chocolate fountains to the UK from America and we are so glad we did. With many prestigious clients and repeat business over the years, our clients have included the BBC, ITV, Harry Potter premier, Cambridge University, Wimbledon Tennis Club, BMW, Capital Radio, Sandhurst Military Academy, Southampton FC, HMS Warrior, Goodwood House, Goodwood Hotel, Southdowns Manor,Heart FM, Village Hotel and Old Thorns Manor. We work with these clients year after year and believe in offering a first class service. We are also just as happy to cater for your wedding, party or special event. Please contact us for bookings and further details.